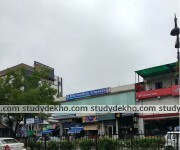 TIME located at Vaishali Nagar, Jaipur is of the best coachings for the preparation of exams like CLAT, SSC, GMAT, CMAT, CAT, etc. Over the past years, the coaching has been giving great results and has been guiding thousands of students to get their desired college. The coaching offers a great deal of study material that helps the students grasp the concept and understand the entire thing in one go. Along with the best study material the coaching has well-qualified faculties that help the student throughout the course and also clear up their doubts. For the doubt clearing the institute also brings up experts who clear up the student's doubts and help them. The test series provided by the institute is very famous as it gives a clearer idea of the exam and also helps the students understand the concepts where he lacks understanding. The institute has nevertheless given the best of what it has and contributed to the great results. 3. SSC(staff selection commission): the course is designed for the students who are preparing for SSC examination (staff selection commission). 4. CAT (Common aptitude test): this is a course designed by the Institute for the aspirants who wish to give the CAT (common aptitude test) examination. 7. GMAT (graduate management aptitude test): the course is designed for students who wish to give GMAT (graduate management aptitude test). 8. MAT (management aptitude test): CMAT: the course is designed for students who wish to give MAT (management aptitude test) examination. 9. GATE (graduate aptitude test in engineering): CMAT: the course is designed for students who wish to give GATE (graduate aptitude test for engineering) examination. I joined them a few months back and i am enjoying studying here...faculty is very supportive. Results are the only thing that matters at the end, and they are the best in bringing results which are staggering in numbers. Teachers display a stunning display of their experience and observe the students’ state of mind and take them on the right efficient path for exam preparations. They help the students to discover the talent and do smart work to beat the intelligent competition. They are the best cat coaching center. It was a pleasure to be part of them. They get their students to work harder and smarter to crack the exam. They are the building blocks for the cat aspirants. They give all the facilities and services required for the students to learn, compete and crack the exam. Your time and money are given worth and the students are taken care that they are doing smart work and are efficient in their doings. All three sections of the syllabus are handled well by the tutors, the management is the strength and the deriving force behind the success of the institute. Study notes are very good, they give work to be done from home in such a way that students get in practice to work regularly and they are having success mantra which reflects in the results. The best place a student can be for cat coaching in the city. They have splendid staff and the amazing aura for the students to study. 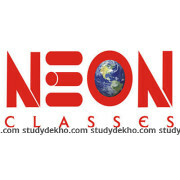 The are so efficient, and help students schedule themselves for the cat exam preparations. They guide them throughout and rest is in hands of students to follow and do smart work. I loved data interpretation and logical reasoning. It was my favorite batch time. They are a very good team and I think they are the top for cat coaching. Good team and the students must be just concentrated and are determined to follow the teachers, success will automatically follow. Staff is so expertise in their subjects and management here is equally good. One of the best GRE coaching institute in the region. They are the most reliable coaching institute in jaipur. They are the best in class, they have good trainers training the students and have achieved great success. best for gate coaching in jaipur. High success follows them. They are the top training institute for govt. 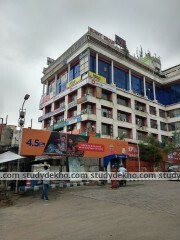 exams, i got ssc exams coaching from here. They are outstanding trainers and guiders. They have best cat trainers, they have flexible batches and teachers are always ready to entertain students' queries. Only institute where huge number of courses are given coaching, they have mastered all the fields and have produced quality results in all spheres. They have best clat coaching institute in jaipur. Well built with all modern facilities. Best for bank exam preparations. They have teachers who themselves have cleared the exam, which is so vital for the students for moving forward.